Marking Max Reger's centenary. 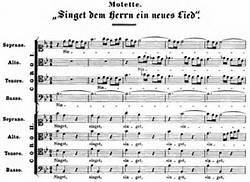 Programme includes Reger's 'Halleluja! Gott zu Loben', Chorale Preludes by Bach and new pieces from The Orgelbuchlein Project, together with music by Howells and Bridge. Michael Bacon read Music at Liverpool University, where he studied the organ with Terence Duffy, Organist of the Metropolitan Cathedral. Subsequently taking lessons with Thomas Trotter and Anne Marsden, he was for ten years Director of Music at King Charles the Martyr, where his performance of Olivier Messiaen’s Nativité du Seigneur was a feature of the Christmas celebrations. He is now Principal Organist at King Charles, and has given many recitals at the church and elsewhere, notably two concerts in France on Classical French organs in conjunction with the King Charles Singers, and as accompanist of that choir he has also become accepted to play for Evensongs at Westminster Abbey - a carefully guarded honour! In November 2013 he concluded a journey through the complete Bach organ works, having played all 300+ pieces at concerts or services. As a Sound Engineer for Radio 3, Michael has recently had particular responsibility for organ music, as well as specialising in recording early music performances. 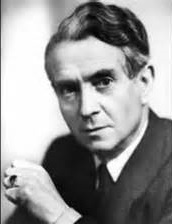 Herbert Howells’ Requiem is a short work, composed in 1932 or 1933. Howells used elements of it for his Hymnus Paradisi, a much larger-scale work which he wrote in response to the death of his son Michael, aged nine, in 1935; but the Requiem itself remained unpublished until 1980, three years before the composer’s own death. The music and the choice of texts express a sense of deep sense of loss as well as hope. The climactic moments occur at ‘lux perpetua’. In the third movement, the words shimmer in chord clusters like light through stained glass. Then, in the fifth movement, the mood of solemnity is broken by a bright declamation, leading to a sense of utter peace in the final movement. This is a church service and not a concert, but followers of Music at King Charles may be interested in attending. There is no charge for entry. Ellen Smith and Michael Grant open the 2016 Music at King Charles series with a luscious collection of folksongs, at 3:30pm on Sunday 11 September. Admission is free and there is a retiring collection. You can get a taste of their music in this short selection of extracts on YouTube. Inspired by the haunting sound world of Jan Garbarek, Ellen and Michael have reinterpreted some of the most enduring folk melodies from across the British Isles for the unique combination of voice, harp and soprano saxophone. Ellen Smith graduated from University College London with a first class honours degree in Classics before pursuing a Masters in Music Performance at the Guildhall School of Music and Drama where she specialised in Early Music. Particular career highlights include London performances of the Handel harp concerto with the Clemens non Papa Consort, Britten's Ceremony of Carols at Westminster Cathedral, The Chapel of the Savoy and St. James’ Piccadilly with the English Chamber Choir, Bernstein’s Chichester Psalms with Vox Cordis at Holy Trinity Kensington and Ravel’s Introduction and Allegro in Blackheath. Frequent orchestral concert and tour engagements have taken her to the Salzburg, Istanbul and Gran Canaria Festivals, and further afield, to Beijing with the Orquesta Sinfónica de Tenerife. A regular guest solo artiste aboard Cunard’s fleet since 2004, she has performed extensively throughout Europe and worldwide onboard Queen Elizabeth 2, Queen Victoria and Queen Mary 2. Michael Grant is an international cabaret entertainer, multi-instrumentalist, recording artist, teacher and composer. After studying at the Royal College of Music and the Guildhall School of Music and Drama, he went on to perform in many musicals and concerts in London’s West End and across the world. As a classical soloist he has performed in most of the UK’s most prestigious venues, including Wigmore Hall, Britten Theatre, Barbican, Queen Elizabeth Hall, St. Martin-in- the-Fields, St. James’ Piccadilly and the Queen’s Hall Edinburgh. As a jazz musician and cabaret entertainer Michael regularly performs his own swing show around the world as a guest artist for Cunard and P&O Cruise Lines. He has written three ballets, two musicals and several song cycles continuing the English song tradition of the early 20th Century. This recital is part of a long-term recording project for Ellen and Michael. Their repertoire draws on a wealth of traditional song from across the British Isles but, with an unusual combination of harp and soprano saxophone, their collaboration has brought together traditional and modern influences, some unfamiliar tunes and complex harmonies. Inspired by the sea in his home town of Hastings and influenced by the strong English style of composers such as Vaughan Williams and Finzi, Michael has also composed a song cycle with words from John Masefield’s Salt-Water Ballads which will be premiered at this recital. Where to find King Charles church. ONLINE: Tickets for Music at King Charles concerts may be booked here, https://www.ticketsource.co.uk/mkctw. Prices are discounted when you book in advance, and there is no charge for under-18s. BY EMAIL: contact us at kcmconcerts@blueyonder.co.uk for tickets or if you wish to leave/join our mailing list. We are delighted that the TWIMF return to King Charles to host a concert by the amazing Schubert Ensemble, on Thursday 13th October at 7:30pm. Book tickets for the Schubert Ensemble here: tickets are £15 on the door but just £13 when booked in advance. Folk songs re-imagined for harp, soprano and saxophone Tunbridge Wells harpist and soprano Ellen Smith is joined by Michael Grant (clarinet & saxophone) for an afternoon of inspiring new folk song arrangements. Featuring Beethoven’s very first quartet (Op,18 no,4) and his last (Op.135), as well as Op.59 no.2 from the Razumovsky cycle of his ‘middle’ period. The official opening recital on the church's renovated Yamaha grand piano, by international concert pianist Christopher Sayles, who is based in Germany. The King Charles Singers will perform the sublime Requiem by Herbert Howells as the evening service on Remembrance Sunday. Michael Bacon is the Organist of King Charles the Martyr church, and he will be marking the centenary of the death of Max Reger with a short recital. Paul Clark will be giving a short recital on the afternoon of Sunday 12 June from 2pm. This is the first opportunity to hear the church's Yamaha grand piano after its recent renovation. It's free and all are welcome! 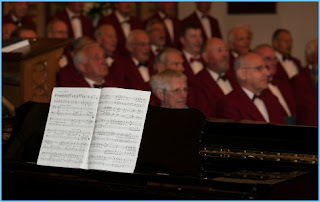 After that, our next concert is when we welcome the Tunbridge Wells Orpheus Male Voice choir on June 25th. They'll be helping us raise money to pay for the work on the piano. And in October, we will hear concert pianist Christopher Sayles in our series, as part of his Beethoven Sonatas tour of the UK. 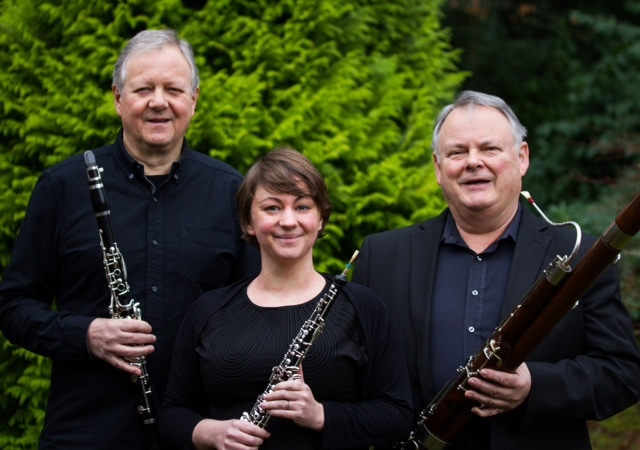 The ESK Ensemble celebrates Entente Cordiale with an entertaining programme of English and French music for wind trio. Kate read music at King's College, Cambridge, before undertaking a postgraduate diploma at the Royal Academy of Music and Sydney Conservatorium. She has worked extensively in West End productions, including Sweeney Todd, Joseph and the Amazing Technicolor Dreamcoat, Oliver, The Wizard of Oz and Carousel. Kate has made many recordings, ranging from the cast album of 2012's production of Sweeney Todd, to film soundtracks and pop albums - she appeared as part of Michael Buble's band for his UK filmed Christmas Special. Kate is an ABRSM Examiner. Since leaving the Royal College of Music Steve has played for most of the major British Symphony Orchestras (including the City of Birmingham Symphony Orchestra under Simon Rattle and the London Symphony Orchestra under André Previn and Michael Tilson Thomas). 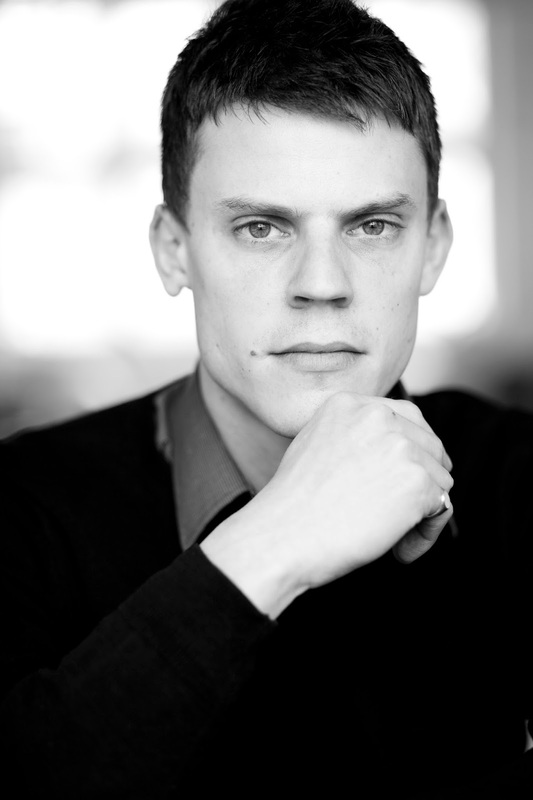 At present he is a member of the London Concert Orchestra and plays regularly with the Royal Philharmonic Orchestra. Chamber Music, from duo to octet, has formed a large part of his professional life. His wind octet Harmoniemusik of London released a CD of octets by Mozart and Myslivecek (on Virgin Classics) and has played at the Wigmore Hall. As a recording artist he has played on countless CDs - and on TV and film scores as diverse as Poirot, Marple, The Golden Compass and Mama Mia. In the theatre he has worked for the Royal Shakespeare Company, the Royal National Theatre, and many West End Productions. He was the original clarinettist in Phantom of the Opera, and features on the CD. David studied bassoon at the Guildhall School of Music and Drama, He plays with the London Symphony Orchestra, the London Philharmonic Orchestra, the Bournemouth Symphony Orchestra, the Philharmonia Orchestra, the Royal Opera House Covent Garden, the Academy of St Martin in the Fields, the Australian Chamber Orchestra and Tafelmusik in Toronto. David was contracted to the BBC Symphony Orchestra for 2 years then left to join the RPO - a position he held for 20 years. He has made numerous recordings on CD, TV and film and has worked in the West End in many Musical Theatre productions including Oliver at Drury Lane. A keen promoter of the 'Early Music Revival' David enjoys playing Classical and Baroque bassoon and contrabassoon with the Orchestra for the Age of Enlightenment, the Gabrieli Consort, the Academy of Ancient Music and Orchestre Revolutionaire e Romantique. David is an Honorary Associate of the Royal Academy of Music where he has been a Professor for 35 years. 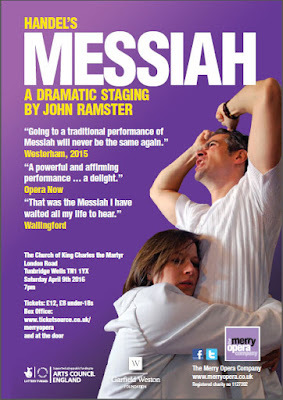 In the Merry Opera Company’s acclaimed dramatic staging of Handel’s Messiah, twelve strangers seek spiritual comfort in their struggle to understand their troubled lives. 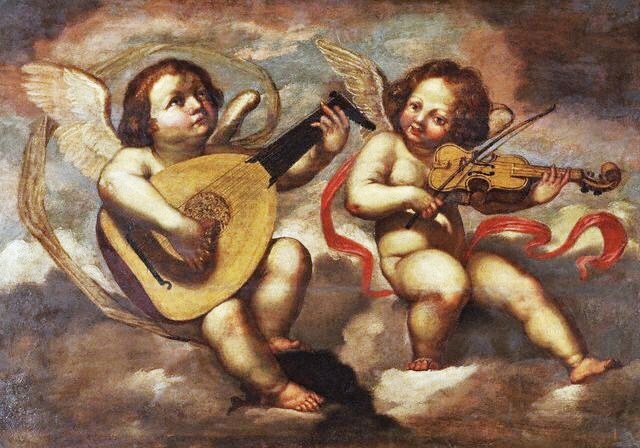 Through the words and music of this most beloved oratorio they inspire each other to look to the future with hope. Director: John Ramster. Music Director and Conductor: Stephen Hose. Costume Design: Michelle Bradbury. Wardrobe: Pedrick Moore. Organist: Ben Comeau. Cast includes: Christopher Faulkner, Lucilla Graham, WeiHsi Hu, Roderick Morris, Gemma Morsley, Lawrence Olsworth-Peter, Matthew Quirk, Daniel Roddick, Eleanor Ross, Jenny Stafford, Glenn Tweedie, Emily Vine. More information about the organ appeal and the organ at King Charles. Some years ago, a Sevenoaks schoolboy appeared at KCM hoping to practise the organ here. He went on to study at the Royal College of Music before becoming Organ Scholar at St Alban's Abbey, Clare College Cambridge and St Paul's Cathedral, and being appointed Assistant Organist at Westminster Abbey. During his time there he played for many important state services including the Royal Wedding in 2011. 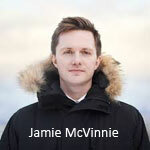 By that time, James McVinnie had won a reputation as one of the country's best solo organists as well as being an excellent continuo player in several leading baroque ensembles both here and abroad. He made his debut at London's Royal Festival Hall in March 2014, giving one of the six opening recitals on the refurbished iconic 1954 Harrison & Harrison organ. He made his solo debut in the Salzburg Festival at the age of 26, performing alongside the Freiburg Baroque Orchestra under Ivor Bolton, and more locally to Tunbridge Wells he was on stage in Barrie Kosky's production of Handel's Saul at Glyndebourne in 2015. James always plays interesting music. His recent sell-out concert at the Festival Hall included folk, electronics and improvisation as well as Bach. On 28 February he will be playing a couple of pieces so early they were written by "anon", than an early 17th century piece from Amsterdam by Sweelinck, the massive Prelude and Fugue in E Flat by Bach and ending with a transcription of the end of Stravinsky's Firebird. James has been a particular champion of the music of Nico Muhli and we are lucky to be able to hear a new piece dedicated to the memory of John Scott, former Organist of St Paul's Cathedral, who died very suddenly last year. Temenos return to King Charles the Martyr with a sparkling programme of Baroque masterpieces, which range from the early Venetian Gabrieli's eight-part Jubilate to Bach's most exuberant motet Singet dem Herrn, and culminating in Monteverdi's spectacular 1640 Magnificat. Superb motets by English composers Blow and Purcell are also included. 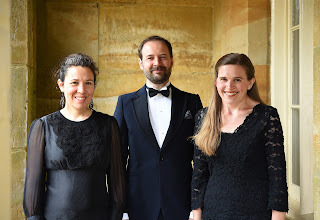 Temenos are joined by the talented Ensemble Hesperi on period instruments, directed by Thomas Allery (organ). 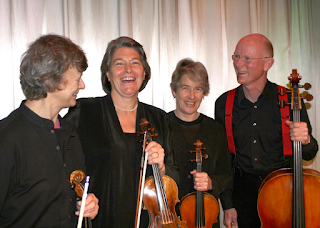 They will be playing Handel's Opus 5 Trio Sonatas, and sonatas by Turini and Uccellini. Tickets are £12 (£6 for students) on the door or by phone 01732 452715.